Control and prevent decay inside logs and timbers. The only effective decay control system that post-protects logs internally. Designed for log homes, joist ends, utility poles and structural timbers. Wood is an incredibly strong building material – and if it’s protected properly, it can last practically forever. When exposed logs and timbers require more than just surface protection, boron rods are the solution because the required dosage can be strategically placed where it is needed. Designed right, Sansin surface and core wood protection systems offer the best combination of protection and value. The Impel Boron Rod is a highly concentrated, solid-formed, water-diffusable boron rod derived from a naturally occurring preservative element. The Impel Boron Rod is inserted into log ends where it remains inactive until moisture contents rise above approximately 25% – when combined with water, the Impel Boron Rod diffuses boric acid, a natural decay inhibitor that fights fungi and insect infestations. As the rod slowly dissolves, the moisture stream of the wood itself carries the boric acid through the wood fibers to saturate and protect any wet areas. When the wood dries and moisture levels drop, the fungicide becomes dormant and acts as a reserve, ready to reactivate should conditions conducive to decay re-occur. 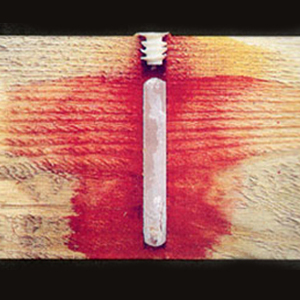 The Impel Boron Rod offers the only effective decay control system that protects logs internally. When combined with periodic wood preservative treatment, the Impel Boron Rod is extremely effective protection against wood decay. In addition to log ends and corners, the Impel Boron Rod is recommended for window and door framings, joist ends, utility poles, railway crossties, structural timbers and a wide variety of deck, flooring and roofing applications. PLEASE NOTE: Label may not appear exactly as shown. View the Impel Rods Product Data Sheet (PDF) for information about application, preparation, maintenance, and more. Sansin SDF: A penetrating one-coat finish for exterior wood. Sansin Purity 0-VOC Gel Stain: Penetrating gel stain for wood interiors. Sansin SDF Top Coat: Enhanced protection offering a satin finish.